Spanish broadcaster RTVE has confirmed that over 1000 entries have been submitted for the Spanish selection for Eurovision 2019. The artist who will perform the chosen song will be one of the 16 contestants of Operación Triunfo 2018 which is currently being broadcast by RTVE. According to the broadcaster, songs for the OT contestants have been submitted by both well-known and new songwriters. Those submitting their entries may also pick their preferred singer between the 16 participants of Operación Triunfo 2018 (including those eliminated before the gala) although their choice is not binding. Ruth Lorenzo, who represented Spain in Eurovision 2014 with Dancing in the Rain has confirmed that she has entered some songs into the process. 953 songs were received via the participation form on RTVE.es whilst the remainder were received following the invitation of RTVE and Gestmusic (producer of OT) sent to established songwriters. Entries must not have been published before September 1 and must contain lyrics in one of the co-official languages of Spain (Spanish, Catalan, Basque and Galician). With the deadline for submissions having passed, 20 songs will be chosen and published online by RTVE and viewers will be able to choose their favourites. 10 will be chosen from the established songwriters and 10 from the online entries. The three songs with the most votes will have a guaranteed place in OT’s special Eurovision gala. 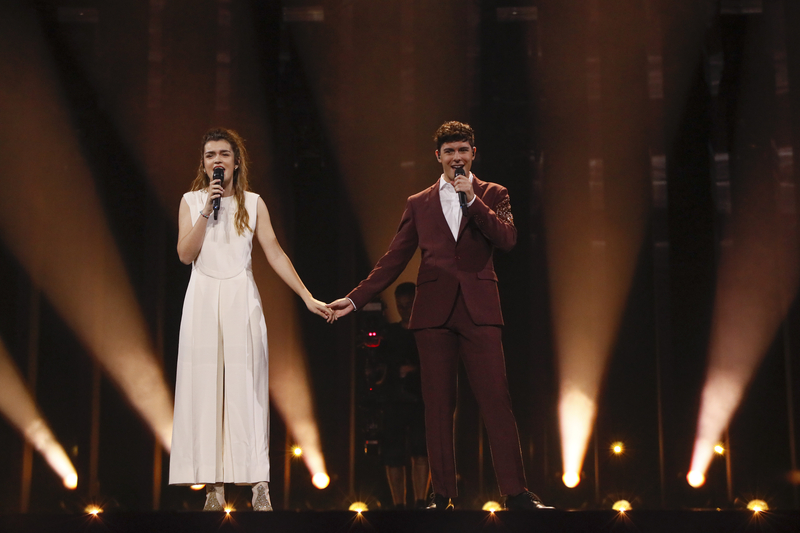 Amaia y Alfred were selected through last year’s edition of Operación Triunfo to represent Spain in Lisbon. They finished 23rd in the final with a total of 61 points, following their performance of “Tu canción”. Spain debuted in the Eurovision Song Contest in 1961 and has competed annually since. Spain has won the contest on two occasions the first being in 1968 and the second time in 1969. 1969 is the only year where more than one song has won the contest, a four-way tie between Spain, France, the United Kingdom and the Netherlands. Since 2000 Spain has only managed to finish in the Top 10 on five occasions, the last time being in 2014 with Ruth Lorenzo. However, the country has finished 20th or below on ten occasions, the worst placement being 26th in 2017.